Alright, and it’s finally out. I can see why My War won, judging from the way the Iraq war is presented in the mainstream media these days – the whole idea of a US soldier running away to cyber cafes between shifts and blogging about such an experience is highly magnetic … indeed, almost guaranteed bestselling material. I’ve talked about how Blooker prize winners are, in the end, amateurs, but while this year’s selection may not have improved from a literary point of view (don’t expect The God Of Small Things anytime soon) it has certainly presented an … alternative to what we usually get from the mainstream. The Doorbells of Florence are random pictures of doorbells accompanied by fictional stories of the people living behind them, and came about from a Flickr photo set, of all things. 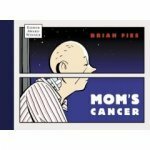 Mom’s Cancer is not unique, certainly (there are loads of worthy web comics out there), but it is the backstory that counts: the author’s mother contracts cancer … and he draws the comic throughout the period. I liked it, and it was a pity it was taken down from the web, due to copyright issues. But in the end it’ll be Colby’s book that generates the most buzz. Funny, he’s just talked about Colby Buzzell a few days ago. How … simple. I can’t help but smile.